There are over a 100 uses for a bandana. It is about as handy as cordage and duct tape. They are light, compact, and are really inexpensive. 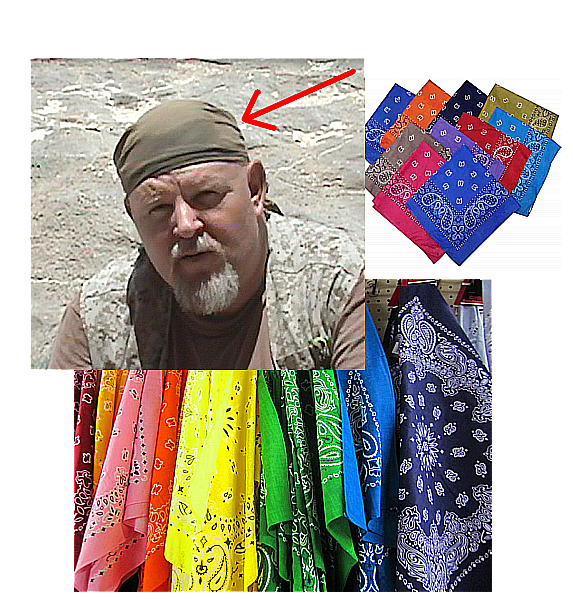 A bandana is a must have in your Survival Kits, Bug Out Bag or Urban Survival Gear. Here is just a short list of possible uses for a bandana. There are many more uses, but I listed only a few to save room. Use your imagination for those ideas that are not listed here. 27. Bind a stone and toss a line over a limb?